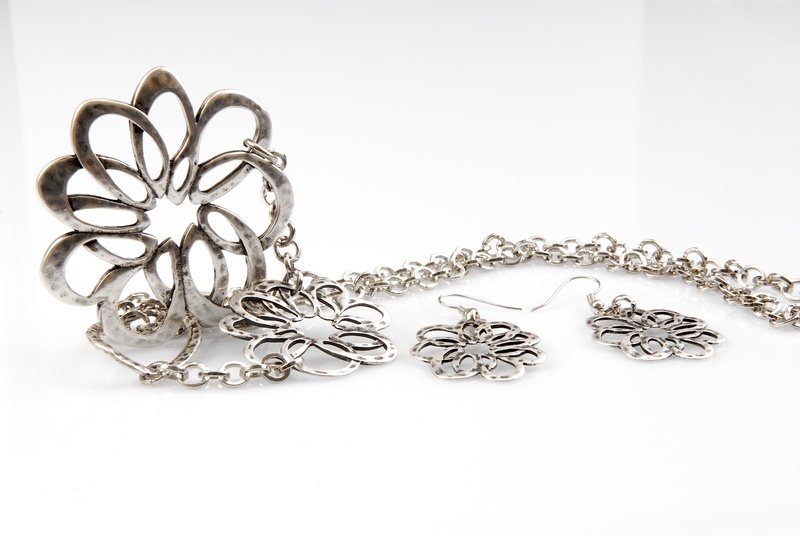 Anava Jewelry creates this antiqued silver plate earring and necklace set with open flower design. This simple, elegant earrings and necklace set in silver plate feature a striking open flower design. The silver flower element is repeated on the earrings and on the necklace in two sizes. The larger flower pendant hangs at the base of the chain, the smaller one sits at the side, slightly below the collarbone. The necklace fastens with a large silver loop, placed above the smaller flower, giving the silver flower necklace a trendy asymmetrical look. The chain, also handmade and silver plated, is comprised of simple round links and measures 23.3' (60 cm). Designed as a set, the flower earrings and flower necklace can of course be worn separately, and the pieces are casual enough to wear in the day while being elegant enough for a night out. 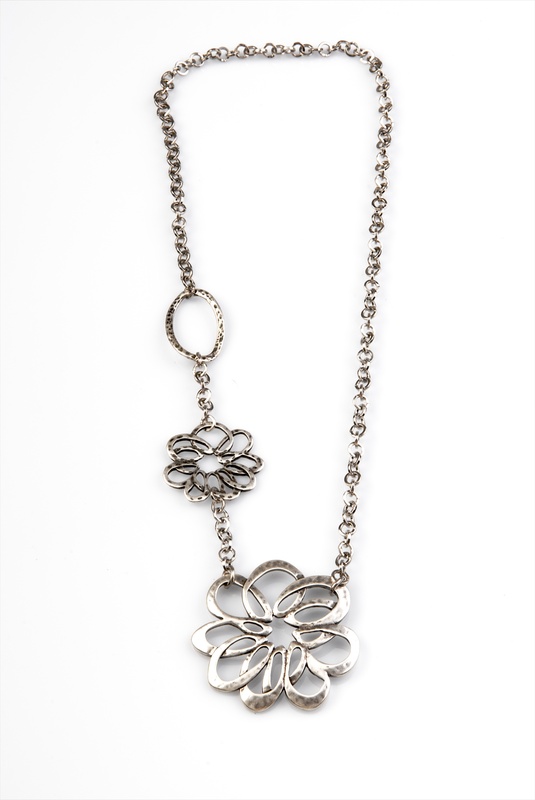 Anava's open flower design is a nice modern version of the classic silver necklace and earring. Designs by Anava Jewelry make great gifts and a wonderful additions to any collection of fine handcrafted Israeli jewelry. A must for fans of modern jewelry and accessories. Avi did a great job helping us to start an account on this website and also to become an affiliate of the site.